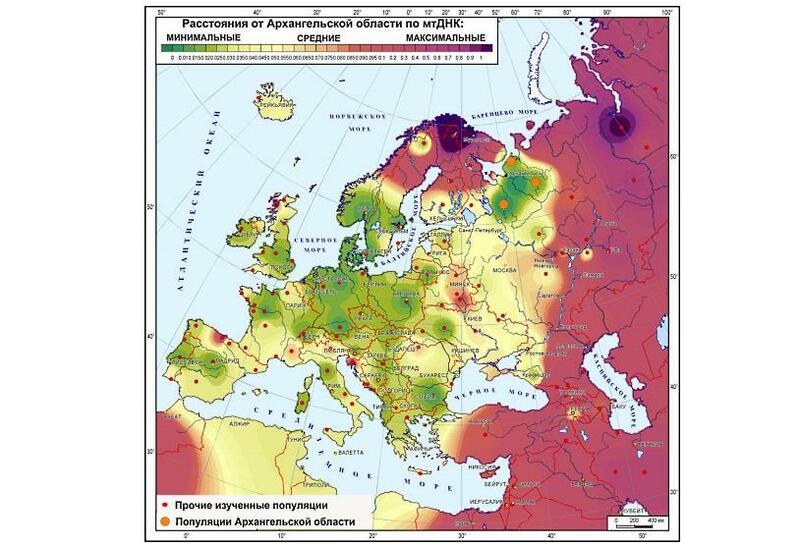 The recent doctoral dissertation by Russian geneticist Oleg Balanovsky, Variability of gene pool in space and time: Data synthesis, genogeography, mitochondrial DNA and Y-chromosome, contains a number of fascinating maps pertaining to the distribution of both Y-DNA and mitochondrial DNA haplogroups and other genetic markers across Eurasia. These maps reveal that the main genetic division divides Eurasia into western and eastern sub-regions; the boundary starts at the Caucasus and traverses through southern Urals, northern Kazakhstan, and southern Siberia, then follows the course of the Yenisey River. Another major finding is that the distribution of Y-DNA in European populations is highly structured, both geographically and ethnically: men from a given ethnic group tend to share a predominant Y-DNA haplogroup, often distinct from that of other ethnic groups. This pattern is visible in the map reproduced on the left, which shows areas of Europe where certain Y-DNA haplogroups peak at over 35%. 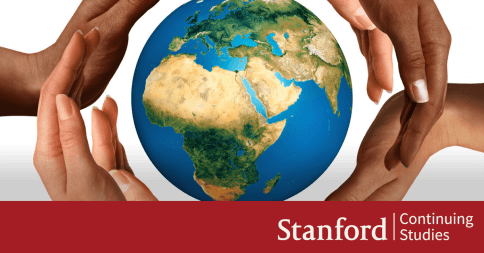 Such zones cover most of the continent, demonstrating that patrilineality and paternal founder effects have had a significant role in the formation of the modern European gene pool. 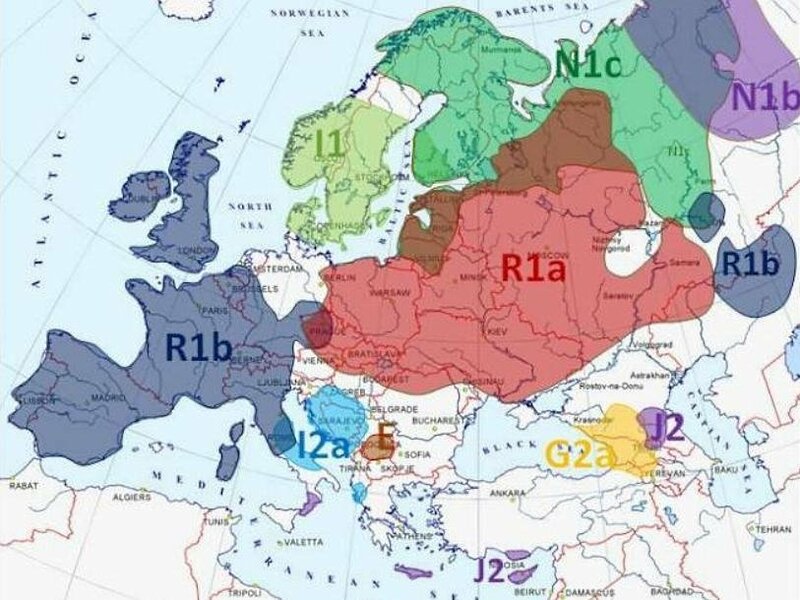 Indeed, continental Europe is dominated by just two related haplogroups: R1a and R1b. The zone in which R1a is frequent extends from Central Europe to the Volga-Ural region. The main R1b zone is located in Atlantic Europe, though smaller zones are found also to the south of the Ural Mountains. Curiously, R1a has also been found in Late Neolithic and Bronze Age remains all the way from present-day Germany to South Siberia, suggesting that perhaps it occupied a large area of Eurasia before the main R1b expansions across or even into Europe. Some researchers have tied the R1b haplogroup with the Indo-European expansion; another possibility is that the early speakers of Indo-European languages belonged to haplogroup R1a, as the remains from steppe kurgans tested to date are almost totally dominated by R1a. This issue remains highly controversial. The correlation between ethnic groups and Y-DNA is not perfect: for example, various Slavic-speaking peoples overlap to a great degree in terms of their Y-DNA haplogroups. In contrast, men from northern and southern Russian populations exhibit distinct patterns. Curiously, Y-DNA and mitochondrial DNA tell a similar story when it comes to northern Russian populations, contrary to some earlier studies. According to Balanovsky, women from the Russian north are closer to Norwegians, Germans, Poles, Lithuanians, and others than to Finno-Ugric-speaking groups. The map reproduced on the left shows genetic distance from northern Russian mtDNA: dark green areas are the closest and red ones are the farthest. These findings contradict an earlier theory that migration into what is now northern Russia was heavily gender-biased, with mostly Slavic-speaking men marrying local, Finnic-speaking women. Nor did Balanovsky find much trace of Central Asian nomadic groups in the Y-DNA and mitochondrial DNA of Eastern Europeans. 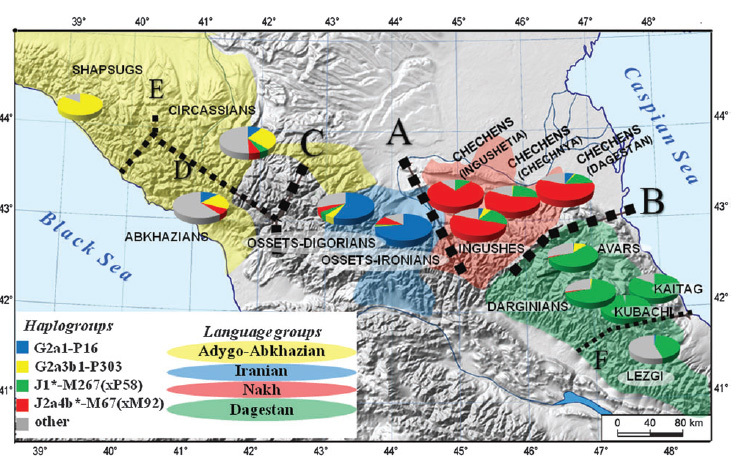 Balanovsky and his team also found a strong correlation between genetic and linguistic groups in North Caucasus, as discussed in my earlier post: each language family has its own dominant Y-haplogroup, while many clusters of haplotypes in a given haplogroup are highly specific for a particular ethno-linguistic group. 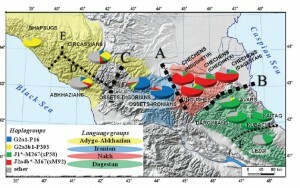 Moreover, Balanovsky and colleagues were able to tie the dates of specific haplotype clusters to linguistic dates for the divergence of various families and branches, as well as to historical evidence. It should be noted, however, that such work tends to be a bit preliminary, as new studies of this sort often run counter to older studies. Still, Balanovsky’s work makes a significant contribution to the field.